Service Costs > How Much Does a Palm Reading Cost? How Much Does a Palm Reading Cost? Palm reading, also known as palmistry, is the art of characterization and foretelling the future by studying the palm. With palmistry, each part of the hand signifies a symbol and the hand characteristics will reveal a great deal about how successful you will be in your life. This can involve foretelling your career, work life, and how your overall fortune unfolds in the future. A palm reader can charge anywhere between $1 and $20 per minute depending on their credibility. To budget, plan on spending about $75 to $135 for an hour session or half this if you just want a 30-minute session. Celebrities or those seen on television could charge much more, usually at $700 or more per hour. The costs will come down their reputation, experience and if they consider this a full-time job. Most palm readers found online often charge $1 to $5 per minute; again, depending on who you choose. AskNow, a popular online palm reading website, charges $10 for a 15-minute session. psychic-readings-guide.com says a palm reading can be as little as free to as much as $800 or more, but the average psychic medium will charge about $120 for an hour session. During a reading, a palmist will often cover the basic lines, a financial picture, health analysis and many symbols to offer a profile of your true self, but each palmist will have his or her own inclusions. Usually, before you pay for your session, they will tell you what’s going to be included. Depending on the kind of palmistry followed, palmists may study many features of your hand, including the lines and shapes of your fingers and palm; the color of your skin; the prominence of your knuckles; the sizes of your palm and fingers; and different characteristics of the hand. With most schools, the hand shapes will be broken into four or 11 types, and this shape will indicate your character traits corresponding to the type indicated. The most popular classifications used includes the earth, air, water and fire. 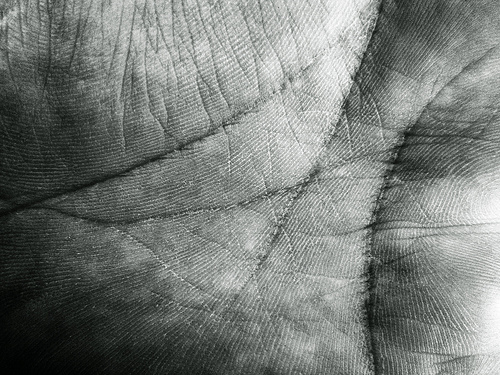 The lines found on the hand are almost always studied by all palmists. These lines will include the heart line, life line and head line. The heart line will be the first line examined by the reader and this will represent love and attraction in your life. This line will be found at the top of the palm, just under the fingers. The life line is often considered the most controversial line on the hand and will extend from the edge of the palm, just above the thumb, traveling like an arc. This line has been said to represent the person’s overall health and general well-being. It can often reflect any major life changes such as physical injuries or relocations. The head line is at the end of the palm, just underneath the pointer finger and slides beyond the palm to the outer edges. Oftentimes, the head line will join with the heart line and it’s believed this line correlates with the person’s mind and how it works. Other minor lines, often read by palmists, may include the sun line, Girdle of Venus, union lines, mercury lines, travel lines and the Apollo line. Palm readers can read more than just your hand. They can also read your significant other’s hand to help you understand how you relate to each other or even a child’s to see what may be troubling them or what the best course for their future may be. Skeptics often believe palmists use something known as cold calling, a practice which allows them to appear psychic by using high-probability guessing and inferring the details based on cues. John Edwards, one of the most popular mediums, has been said to have an eight-year waiting list. Consider picking up some palm reading books that can help you better understand how to read your own palm or the palms of others. With most services, you get what you pay for, but this often isn’t the case when it comes to a palm reading. Higher prices won’t reflect a higher quality. Psychic Readings Guide, the website we mentioned earlier, said they paid close to $700 to talk with a celebrity medium. The problem was, they didn’t find the higher price to worth it and found some of their inexpensive purchases were enjoyable. Some students and professionals new to the field may want to read your palm for free. They do this because they want to practice and get some experience under the belt. Ofesite.com offers a simple reading for free.